A lot has happened this weekend and I wasn't able to get on Friday with the site down. I have an update on my Frogs and just general updates. 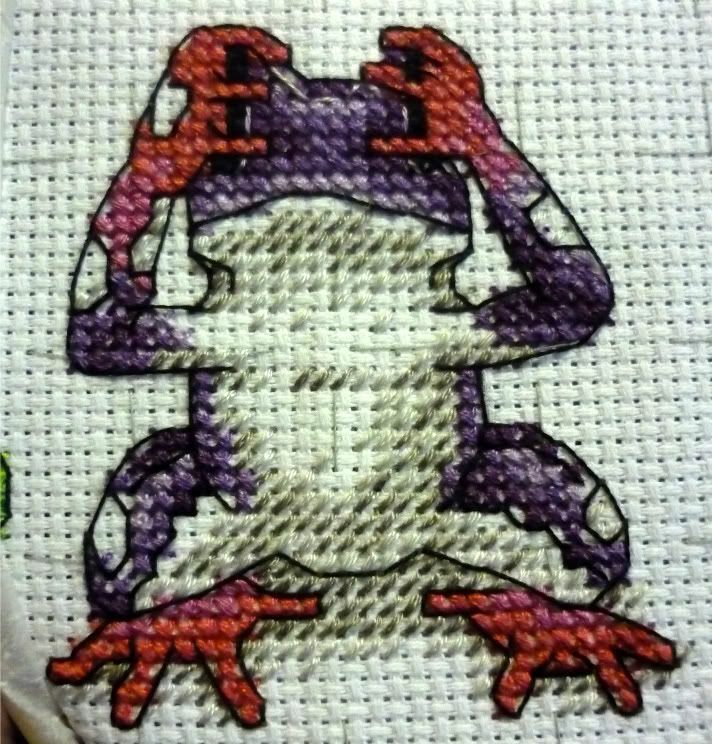 I have finished the second frog it now has a very pretty back stitch and I'm a bit through the third one. I hope to finish it by the end of this week so I can focus on my other projects with so many new ones coming in. Mum is looking forward to getting these frogs and putting them up on the wall. She just hasn't decided where. This Saturday was kinda crazy! 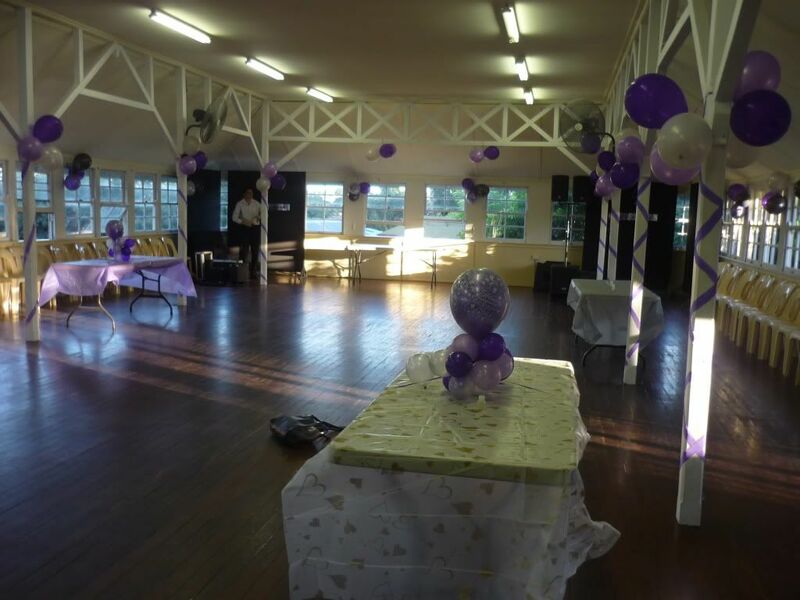 We had our engagement party Saturday night which involved decorating and organising the hall before and then packing it down after. It looked awesome. This is the hall almost set up in the afternoon. It looked very good, as you can tell the colour theme was based around purple. And who would guess it but it is my favourite colour :D The evening was great but it was amazing how crazy it was. There really wasn't a chance to see everyone and it was amazing how many people I never got a chance to talk to before they were coming up to say goodbye. It is a great way to spend Saturday nights. Then on Sunday after waking up late we had to go play softball. All I'm going to say about that game is just be glad that you weren't there. We didn't play very well at all. On Sunday I got given a wonderful stash of books. My Fiance's Grandma when she came up for the party brought a bag full of craft books with her and there was a couple of quilting magazines, a cross stitch one and some mixed magazines. It is pretty cool. I am really excited to see what comes in the mail this week hopefully some of my shopping packages will arrive very soon.